Because I am naturally a busy person at this moment of my life, I really don't have that much time to watch movies anymore. But, whenever I get the chance to do so, I really make sure that aside from making me feel relaxed, the movie would be something worthwhile - something worth sparing my time. 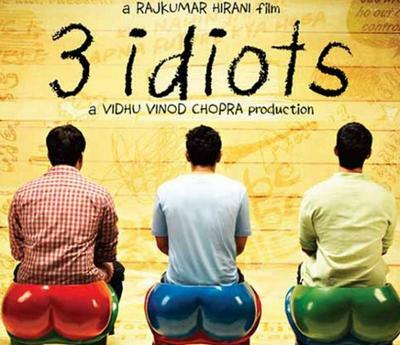 The 3 Idiots never failed me. It was one of the best movies I've seen in a while. It's not just the typical wow-this-is-great-it-inspired-me movie. It is life-changing. Yes it is. There is so much wisdom in the movie that I think every person in this world should watch it. It's a relevant movie about friendship, relationships and life in general. Watching it was really more than worthwhile. It's been hours since the movie ended but it has really left a lingering feeling of evaluating my life in general. I have to constantly remind myself that I have to make my passion my work and that I should not chase for success. Instead, I should strive for excellence and success comes afterwards. Life is good. I hope I would not waste it by making decisions I would regret later on. Undoubtedly, I'd give this movie a shining 10!